Get excited: Broadway in Boston has announced a special Hamilton lottery for $10 tickets. Every single performance during the show’s run in Boston, starting on September 18, will have 40 tickets available through the lottery. That’s right: You can see Hamilton for 10 bucks. Ten little George Washingtons, or, more accurately, one Alexander Hamilton. To enter, you have to download the official Hamilton app (or visit the lottery online), and each lottery will open two days before the scheduled show. If you win, you can purchase up to two tickets (but no more, so good luck picking between your loved ones). You get notified the day before the performance, so the downside is you can’t schedule anything too important for days you’re trying to win. But the upside is seeing Hamilton for $10, which seems worth it. Entering is free, but you can only enter once as yourself, so you may want to work with a friend or two. You need to be 18 or older to enter, and you need a valid photo ID to go. Also, you can’t transfer the ticket if you do win, but seriously why would you transfer a $10 Hamilton ticket?? So! Are you ready? Have you downloaded the app? Good. The lottery begins Sunday, September 16 at 11 a.m. EST for the premiere show on September 18 at the Boston Opera House. The last show is November 18. That’s a lot of chances. Shoot your shot, may the odds be ever in your favor, etc. 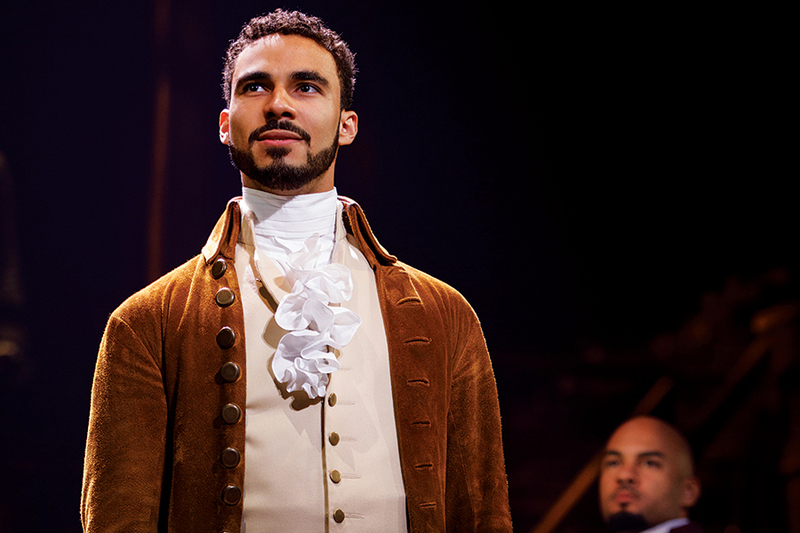 And if you win, don’t forget to learn all about Austin Scott, who’s playing Hamilton, in our interview with him.